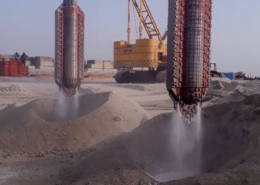 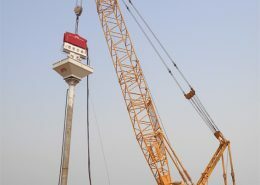 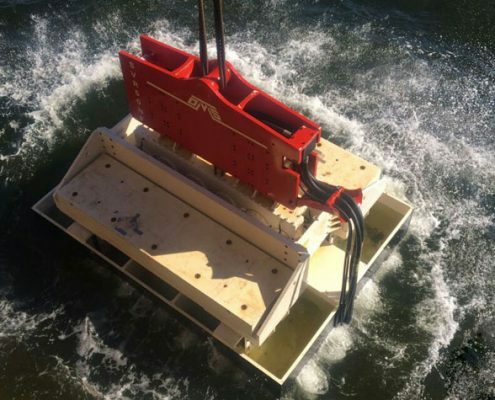 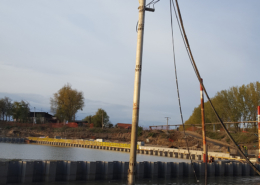 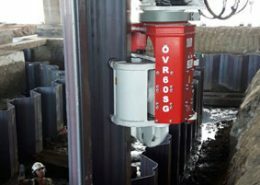 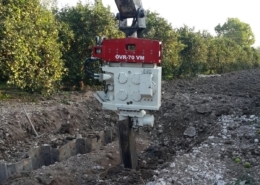 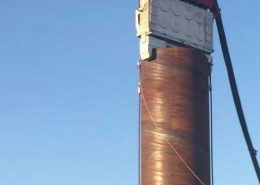 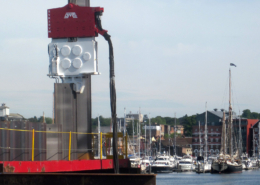 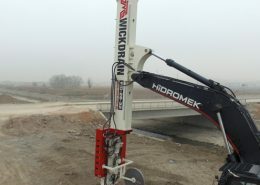 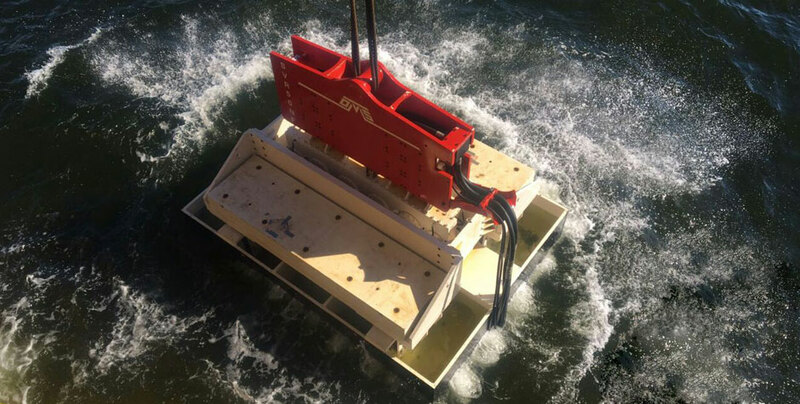 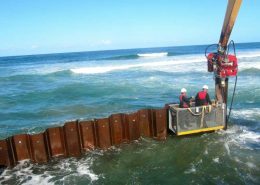 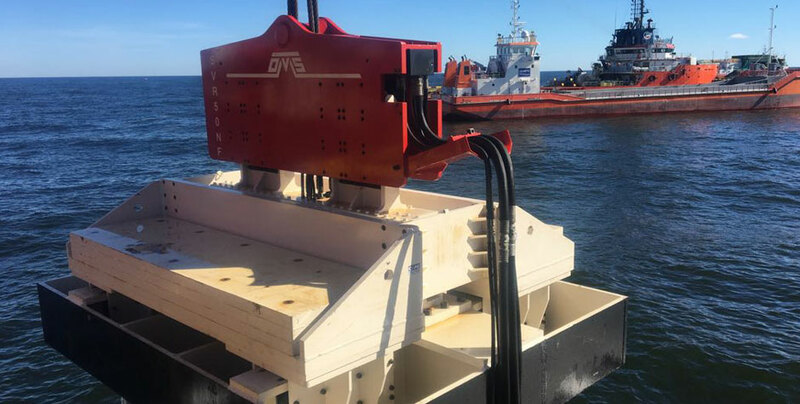 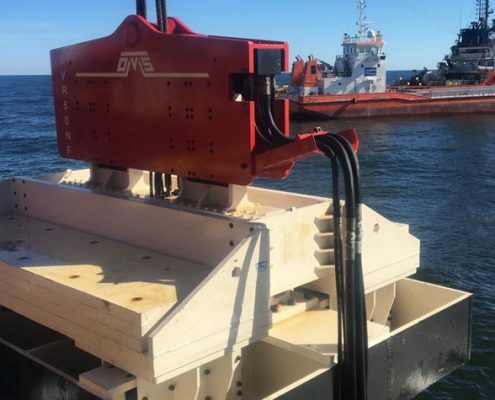 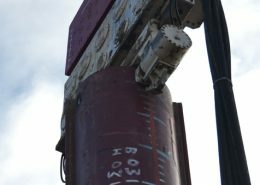 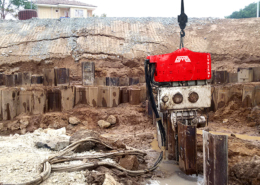 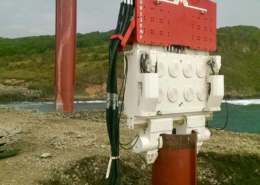 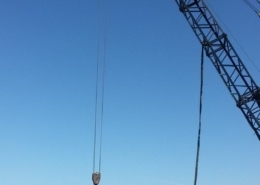 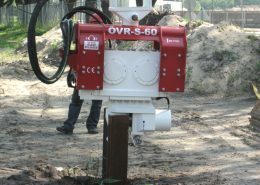 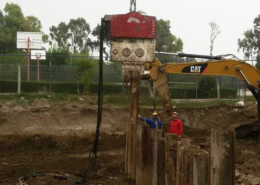 In sea bottom compaction project in Kaliningrad, SVR 50 NF Crane suspended vibratory pile hammer, manufactured by OMS, has been used. 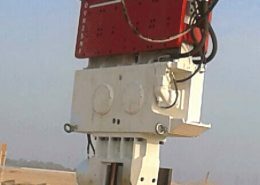 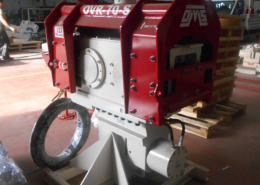 You can find technical properties of this machine from this link. 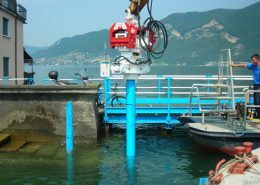 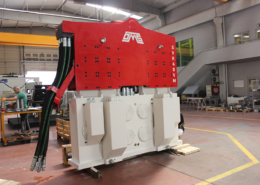 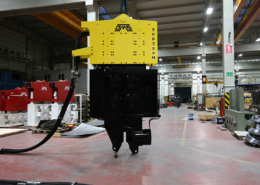 Beside its original weight of 35 tons, there is an option to add extra weights if needed. 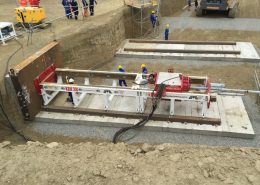 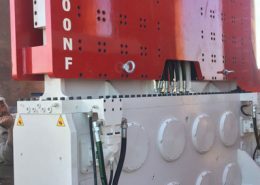 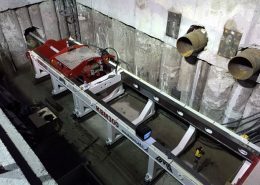 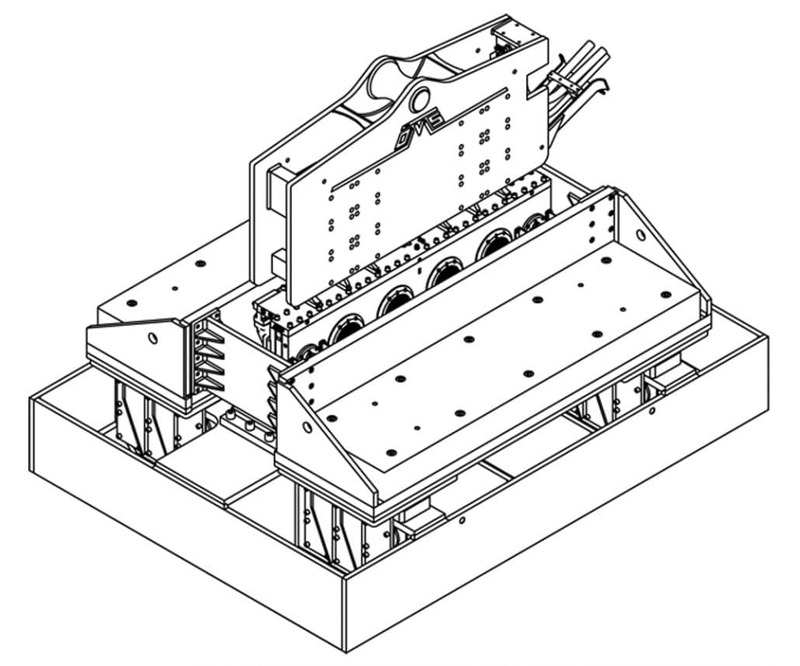 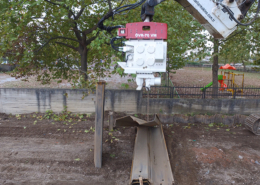 Compactor plate can work in space equal to 10 m2 in one go. 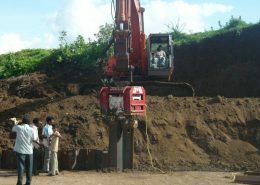 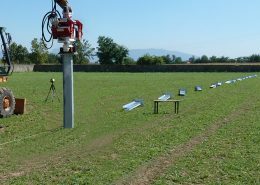 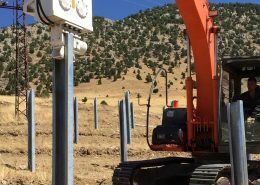 At the beginning of this project, soil with height of 20 cm has been improved. 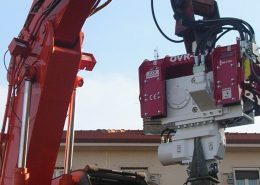 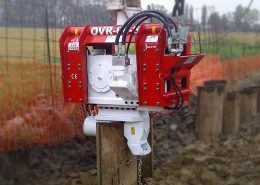 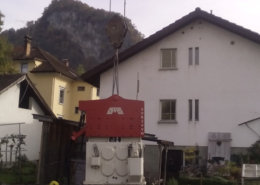 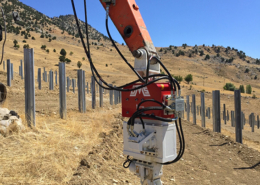 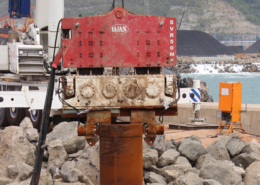 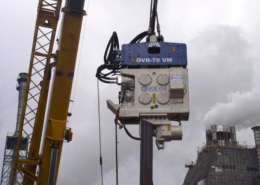 Crane suspended vibratory hammer SVR 50 NF – 1 takes its power from Power Pack PP 536-1 . 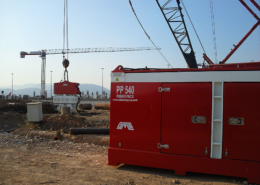 You can find technical properties of Power Unit from this link.